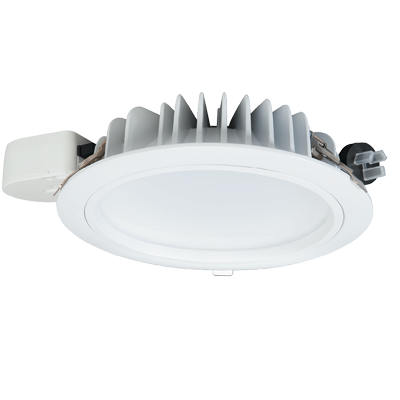 OptiTech™ LED compact and stylish downlights are a practical, cost effective, energy efficient alternative or replacement for traditional incandescent or fluorescent downlights. This shop light uses the latest surface mount LED technology, is powerful and has a size to suit most applications. This shop light uses the latest (SMD) surface-mount LED technology. Manufactured using light weight, die-cast aluminium.